SolarWinds is a Managed Service Provider solution with a comprehensive set of features for IT professionals that allows them to monitor fault, availability, and performance for connected devices and aid in detection, diagnosis, and resolution of network performance issues. SolarWinds offers the ability to monitor network device and interface availability and performance for SNMP and WMI-enabled devices, enable advanced network troubleshooting for on-premises, hybrid, and cloud services with critical path hop-by-hop analysis, allows drag-and-drop network performance metrics on a common timeline, and provides the ability to monitor and alert on projected capacity exhaustion for critical hardware components. It also allows for comprehensive monitoring of F5 BIG-IP DNS® and BIG-IP Local Traffic Manager®. Alerts can be configured by calculating dynamic baseline threshold data. SolarWinds also allows integrated wireless polling to monitor and report on autonomous or thin access points and corresponding client details. 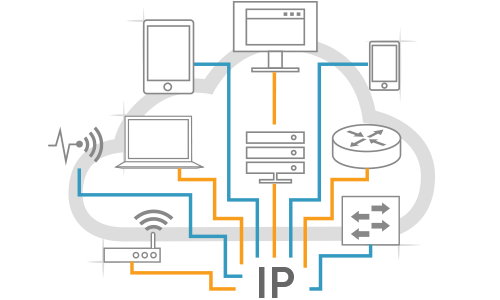 Key features of SolarWinds are hop-by-hop critical path analysis and visualization, customizable topology and dependency-aware intelligent alerts, dynamic wired and wireless network discovery and mapping, wireless network monitoring and management, and consultant and services-free deployment without-of-the-box monitors, alerts, and reports. Additional features include customizable web-based network performance dashboards, views, and charts, end-user quality of experience, dynamic statistical network performance baselines, hardware health monitoring and alerting and customizable performance and availability reports with over 100 templates. SolarWinds offers multi-vendor device support for devices from leading hardware vendors, out-of-the-box. SolarWinds also offers an extensive knowledge base and a support community of IT Pros to make sure that businesses can get help setting up and using the software, when they need it. Still not sure SolarWinds is right for you? Use our Product Selection Tool to compare other Managed Service Provider solutions. Have questions? Call one of our unbiased Technology Advisors for a free consultation. Learn everything you need to know about SolarWinds. Our experts will reach out to you shortly.